This life-changing book addresses the opportunities and obstacles we encounter when we decide to ask life s BIG questions: Who am I? What am I here for? Full of powerful and practical lessons, Matthew Kelly shows us how to find lasting happiness in a changing world. 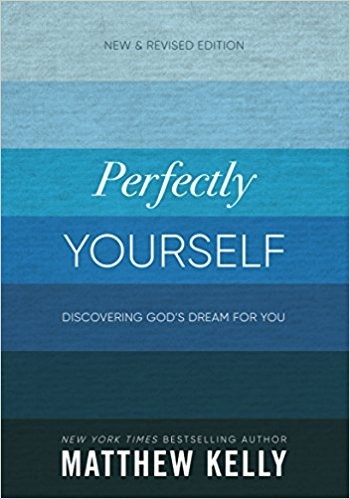 Newly revised to reflect an even greater emphasis on spiritual growth and realizing God's dreams for us, Perfectly Yourself is a book for anyone who has failed at a diet, survived the collapse of a relationship, or wondered if he or she would ever find a fulfilling career. Kelly teaches us how to find the balance between accepting ourselves and striving to become all God dreams for us to become. It's a book for all of us who long to be at peace with who we are, where we are, and what we are doing, not in some distant tomorrow, but here and now today.